Functional Food Center is pleased to announce its 21st International Conference and Expo on Functional Foods "Functional Foods and Bioactive Compounds in Health and Disease: Science and Practice". The conference will be held at San Diego on March 25-26, 2017. The 21st International Conference of Functional Food Center will bring together experts in medicine, biology, and the food industry to discuss the functional foods with bioactive compounds as dietary interventions for chronic diseases, as well as for health promotion. For more details about the Sessions and main conference topics please visit conference Topics and Sessions page. Deadline for abstract submission has been extended until February 10, 2017, 5:pm (PST). The entire abstract should have a maximum of 1,000 words, up to three pages (including references). There is no up-front fee for submitting a conference abstract. Once the abstract is generally accepted for the conference, the corresponding/first author is responsible to pay the abstract publication fee of $49 within 10 days. Failure to pay the abstract publication fee within 10 days after abstract acceptance day will result in a late abstract publication fee of $99. First authors are expected to register, pay the conference and abstract fee, and present the paper (if submission is accepted). In the case of an emergency and the author(s) are unable to attend the conference, they are required to pay an abstract publication fee of $99. Decisions on selection will be promptly communicated to the authors via e-mail. All contributions will be reviewed, and accepted abstracts will be published in the conference proceedings book. Please email your abstract as an attachment to ffc@functionalfoodcenter.com. Please review our sample abstract. There is no charge for the withdrawal of an abstract before December 30, 2016. In the case that the first author cannot attend the conference and present, he or she must contact the conference organizing committee via e-mail at ffc@functionalfoodcenter.com, to provide notification of withdrawal or to request a substitute presenter. Withdrawals must be received before December 30, 2016. Please note: Abstracts withdrawn after December 30, 2016, will be published and the first author will be expected to pay the abstract publication fee. The conference does not provide financial support nor registration fee waivers for any presentations. To avoid the last-minute rush, submit your abstract in advance. Abstracts received by the Conference Organizing Committee after February 10, 2017 at 5 pm will not be accepted). For any information concerning publications please contact us at ffc@functionalfoodcenter.com. For more information about abstract submission, click here. The registration fee will cover the Conference Proceedings book (Abstract book) and lunches for two days. It will also cover a 12 month membership to the Academic Society for Functional Foods and Bioactive Compounds. Each registration allows the registrant to present up to 3 accepted abstracts maximum. Cancellation Policy: Before September 30, 2016: 75% refund; before December 30, 2016: 50% refund; after December 30, 2016: No refund. Reimbursements will be sent after the conference. Notice of cancellation of registration must be received in writing to the Conference Secretariat, at: ffc_usa@sbcglobal.net. All refunds will be provided after the conference within 14 days. Students enrolled in an undergraduate program (MS, PhD or MD) are eligible for the Student Discount rate. When you register for the conference, you must enter your mentor's name and Email address during checkout to verify your student status. Deadline for abstract submission has been extended until February 10, 2017, 5:pm (PST). Full-text papers for oral presentations or posters should be submitted before February 28, 2017. Power Points for oral presentations should be submitted before March 10, 2017. 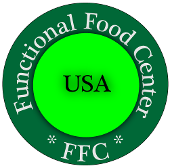 Please send all documents to ffc@functionalfoodcenter.com. Please note that the program and sessions are subject to change. Deadline for abstract submission has been extended until February 10, 2017, 5:pm (PST). The entire abstract should have a maximum of 1000 words. Please use Times New Roman Font 12 for the entire abstract. Please note: the portion of abstract is required for our records, but will not appear in the published abstract and accordingly will not included in worrd count. As a token of our appreciation for article submissions in the Special Issue, we are offering 50% discount of our standard publication fee. The final cost will be $348.00. 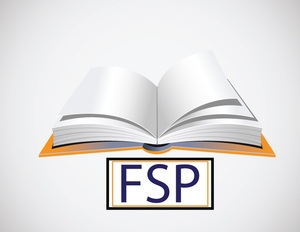 If sufficient scientific funds are unavailable for coverage of the discounted publication fee, ASFFBC is willing to accommodate as needed. Please contact us (in advance) for more details, if necessary. Don't miss your chance to be a part of this! Modifying animal diets to increase relevance to human populations. Hintze K.J., Ward, R..E., Benninghoff A.D., and Lefevre M.
Effect of a probiotic Lactobacillus strains on vaginal microbiota and bacterial vaginosis. Schrezenmeir J., Laue C., Papazova E., Liesegang A., Pannenbeckers A., Arendarski P., Linnerth B., Domig K., Kneifel W., Petricevic L.
Potentiation of anti-inflammatory activities of indomethacin by grape fruit juice in carrageenan –induced mice paw edema. Sarkhel S.
Phenolic extract from Ficus capensis leaves inhibits key enzymes linked to erectile dysfunction and prevent oxidative stress in rats' penile tissue. Akomolafe SF., Oboh G., Oyeleye S.I., Aline A. and Boligon AA. Reduction of iron in the serum and liver of iron-overloaded mice using magnetotactic bacterium Magnetospirillum gryphiswaldense MSR-1. Leila H.G.J., Masoud G., Nezamedine H.S. Intestinal infection in malnourished children. Daneshvar H.K., and Rahimkhani M.
Morinda citrifolia (Noni), a tropical adaptogenic food and medicinal plant with multiple uses in health and disease. Westendorf J., Mettlich C., and Algenstaedt P.
Allometric scaling models: history, use, and misuse in translating resveratrol from basic science to human clinical applications. Smoliga J.M. Chenopodium album a locally used vegetable in Kashmir valley and its medicinal properties. Lone B.A., Chishti M.Z., Bhat F.A., Bandh S.A., and Khan A. Bovine milk exosomes and their cargos may regulate metabolism through non-canonical pathways in non-bovine species. Zempleni J., Zhou F., Wu Di, Manca S., Sadri M., Fernando S., Pas H., Shu J., and Cui J. Low molecular pectin protects against heavy metal exposure. Khotimchenko M., Khozhaenko E., Kovalev V.
Comparative phytochemical composition of the seed and pulp of velvet tamarid (Dialium guineense) plant. Oyetayo F.L. and Bolorunduro B.C. Horizontal delivery of microRNAs via food-mother-pup axis. Le Provost, Laubier J., Marthey S., Castille J., Le Guillou S.
Novel product development, organoleptic analysis and haccp projection of a dessert made from lotus stem (Nelumbo nucifera). Vora J.D., Srinivasan P.
Obesity, soy protein diet and liver steatosis. Hakkak R. and Korourian S.
Safety and free testosterone boosting effficacy of a novel Curculigo orchioides extract in male rats. Bachi D., Swaroop A., Bagchi M., Preuss H.G. Glucuronidation and molecular docking of steviol with UDP-glucuronosyltransferase 2B7. Xia Y., Chen J., Fang Y., Zhang Y., Wang H., Liu X. Studies on the highly efficient biosynthesis of functional oligosaccharides. Cheng H., Wang H., Li L., Deng Z.
Anti-adipogenic activities of (–)-epigallocatechin-3-gallate through modulation of the AMPK pathway in 3T3-L1 cells. Cheon W., Kim Y.
Anti-adipogenic activity of Ligularia stenocephalain extract in 3T3-L1 adipocytes. Seo D., Kim Y.
Curcumin can improve hypertension in aged type 2 diabetic patients by modulating oxidative stress. Mirmiranpour H., Nakhjavani M., Esteghamati A., Salehi S.S., Lari M., Hashemi P., and Firouzabadi F.D. Conjugated linoleic acid vesicles worked in physiological pH environment. Fang Y., Fan Y., Ma J., Li Y., Xia Y. Beneficial effects on fasting insulin and OGTT responses with intake of New Zealand blackcurrant powder. Willems M., Silva J.D.S., Cook M., and Blacker S.
Folic acid transfer from feed to egg yolk layers. Saki A.A., Abdolmaleki M., Mirzaie S., Zamni P., Ashoori A.
Theobromine crosses the blood brain barrier resulting in increased phosphorylation of vasodilator-stimulated phosphoprotein and cAMP-response element-binding protein in the mouse brain. Sugimoto N, Katakura M, Matsuzaki K, Yoneda M, Sumiyoshi E, Ohno-Shosaku T, Yachie A, Shido O. Unraveling the intricate relationship between food, nutrition, and health. Slupsky C.
Gut microbiota dictate metabolic fate of Curcumin in the colon. Li Z, Sun Y, Song M, Li F, Gu M, Xiao H.
March 25th, 18:00-20:30 We will leave for a networking dinner on the beautiful Coronado Island. 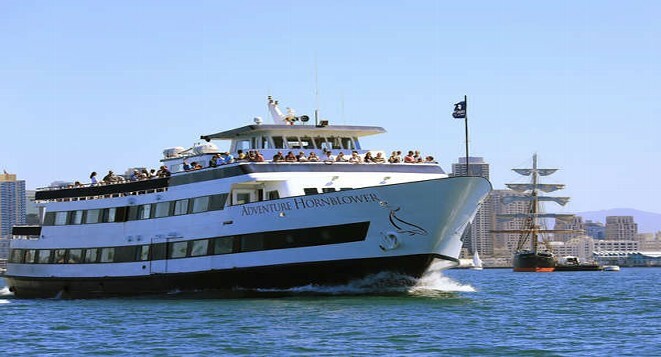 We will take a 15 minute ferry ride from the Convention Center to Coronado Island. You will be able to walk around many shops and restaurants, sightsee, and view the San Diego skyline across the bay. We will then come together for dinner near the harbor. Finally, we will ferry back to the Convention Center, and stroll around Seaport Village. Both of the ferries and your dinner will be included in your $50 payment. To submit your payment, please click here. 8:45-9:05 Welcome and Opening Remarks: Definition and Current Status of Functional Foods. Danik Martirosyan, Co-chairman: President, Functional Food Center; Dallas, TX, USA. 9:35-10:00 James Smoliga, PhD, High Point University, High Point, NC, USA. What are the existing allometric scaling (mathematical) models: advantages and disadvantages? 16:00-16:15 Awards and Membership Certificates (Membership for Academic Society of Functional Foods and Bioactive Compounds). James Smoliga, PhD, High Point University, High Point, NC, USA. Presentation topic: What are the existing allometric scaling (mathematical) models: advantages and disadvantages? All vendors have a separate exhibitor table at the conference. The two tables will be located near the conference area and will have sufficient access to conference participants. The international conference will attract many experts from food processing companies, universities, research centers, and related industries from around the world, such as local restaurants and bakeries. This will be a great opportunity to introduce yourself to many international organizations. The cost for vendors is $795.00, which includes one (1) full registration for the conference. You can fill out the registration form and make a payment for the registration fee to become a vendor for this International Conference. An email confirmation will be sent within two days of the submission date. BESO Biological Research Inc., 21660 Copley Dr. Ste# 180, Diamond Bar, CA 91767, USA. Website: http://besoinc.com/home.html. Based in CA, U.S.A. BESO develops nutritional products ranging from daily nutrition to supportive needs. Our products are made with 100% fermented foods that help increase bioavailability and improve nutrient absorption. Our formulation contains a natural (non-synthetic) bio-active compound called 13-Methyltetradecanoic acid. Danem Dairy Products, Inc., Suleyman Demirel University Technopark, East Campus, 32260 Isparta, Turkey. Web Site: http://www.kefirdanem.com. Danem’s purpose is to protect, maintain and produce genuine kefir grains that contain all of the probiotic bacterial and yeast strains naturally found in traditional kefir. From these grains, we produce our traditional kefir product, Kefirzadem™, with no additives. Using our kefir grains produces kefir with the highest level of natural strains and a magnificent flavor. After a long academic research period, our significant scientific and technical knowledge was transferred to an industrial scale at Danem, Inc. Along with other patent-pending technology, Danem holds three patents on natural kefir and yogurt production from non-GMO, natural probiotic microflora. Danem is the first company in the world that produces significant amounts of non-GMO natural kefir grains, kefir starter culture, natural kefir from kefir grains as well as probiotic yogurt starter culture. Continued research indicates that consumption of our products can contribute significantly to improved health. Food Science Publisher, 4659 Texas St, San Diego CA, USA. Website: http://functionalfoodscenter.net/food-science-publisher.html. Food Science Publisher is especially interested in human clinical nutrition, functional food science and chronic disease aspects of the publishing field. The company specializes in publishing books in the field of food science, nutrition, functional foods and chronic diseases. Vibrant America, 1021 Howard Avenue Suite B, San Carlos, CA 94070-4034, USA. Website: https://www.vibrant-america.com/. Vibrant strives to become the leader in autoimmune diagnostics. Our platform allows us to provide results 4 days sooner than any other regional or specialized laboratory. We are committed to providing the best services and a clinically relevant menu of testing options to accommodate healthcare providers and their patients. Lifeway Foods, Inc., 6431 West Oakton St. Morton Grove, IL 60053, USA. Website: http://lifewaykefir.com/. Lifeway Foods, America’s leading supplier of the probiotic fermented beverage known as kefir, is on a mission to provide the best probiotic and nutritious foods to consumers. Lifeway has also innovated several new ideas in the dairy industry by introducing breakthrough products. The company is committed to four ideals: all natural hormone and GMO-free ingredients, philanthropy, environmental responsibility, and local farming sustainability. Osato Research Institute, 1956 Inatomi, Ono-cho, Ibi-gun, Gifu, 501-0501, Japan. Website: http://en.ori-japan.com/. 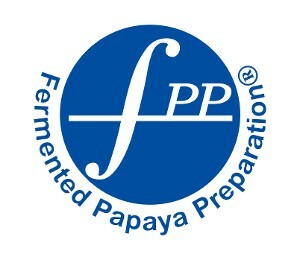 Osato Research Institute works with universities and institutes around the world to support research on FFP® (Fermented Papaya Preparation) and its effect on healthy aging. One of their many goals to is to reduce medical costs associated with aging through preventative therapeutic strategies and education. The 20th International Conference of the Functional Food Center (FFC) and the 8th Symposium of the Academic Society for Functional Foods and Bioactive Compounds (ASFFBC) will be held on September 22-23, 2016. The FFC accepts new registrations for the conference until the official start date. If you plan on registering for the conference, your presentation will not be scheduled until proper payment has been received. The FFC accepts a multitude of different payments, including check, credit card, PayPal, and bank transfers. All payments must be made to Functional Food Center in US dollars. Analysis of sugarcane as a potential functional food. Scholarship winners will be offered reimbursement of expenses associated with attending our conferences (up to 500 USD). These costs include possible airfare, transportation, hotel stays, and the conference registration. Please note: receipts will be required to receive reimbursement. To apply for a scholarship, visit the conference page that you wish to attend and click the "Scholarship Form" tab or copy & paste http://functionalfoodscenter.net into a new browser. Scholarship applicants interested in poster presentation are not required to submit a full article to The Journal of Functional Foods in Health and Disease (FFHD), but it is highly encouraged. For applicants who are interested in giving an oral presentation at the conference, submitting a full article is mandatory. Full articles do not need to be submitted before the scholarship deadline; however, full-text papers should be submitted before the standard abstract deadline. To find out how to submit an article to The Journal of FFHD, please click here: http://www.ffhdj.com. Please fill out this form completely. As a reminder, you also must submit your abstract and have your mentor submit a letter via our email ffc@functionalfoodcenter.com to confirm your status as a student or postdoc fellow at an academic institution to be considered for an award. I wish to inform you about an excellent sponsorship opportunity for your company to gain high-quality exposure in the health food industry. Functional foods and bioactive compounds are currently receiving an increased amount of attention from the scientific community, as well as the public. 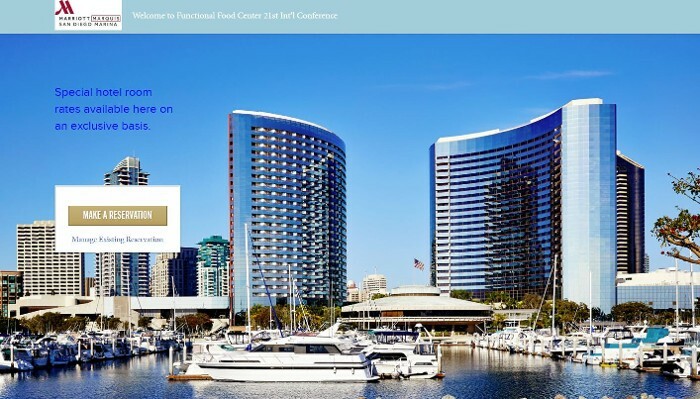 The Functional Food Center’s 21st International Conference will be held at San Diego Convention Center, San Diego, CA, USA. It will be timely in presenting new and relevant information focused on the importance of bioactive compounds and functional foods. Since 1998, the Functional Food Center has been a pioneer in the functional food industry. It combines cutting-edge expertise in the biomedical sciences with practical business experience, to aid further research, development, and commercialization of functional food innovations in both domestic and international markets. The Functional Food Center connects a global network of professionals (scientists, functional food experts, and food industry representatives) to a conducive environment for innovative research collaboration. Since 2004, the FFC has organized conferences together with top universities. Scientists, researchers, and food industry professionals present their research and discoveries about healthy, functional, and medical foods with bioactive compounds. In response to the growth of this field, we are proud to introduce the Academic Society for Functional Foods and Bioactive Compounds. This society of medical doctors, scientists, dietitians, nutritionists and other food and medical industry professionals will be strictly dedicated to the research and development of functional and medical foods, bioactive compounds, and the discovery of new ingredients. 2) Your logo will be included in the conference website, promotional materials, and Functional Food Center’s bi-monthly newsletter, which is received by over 700,000 readers including scientists, medical doctors, nutritionists and dieticians. 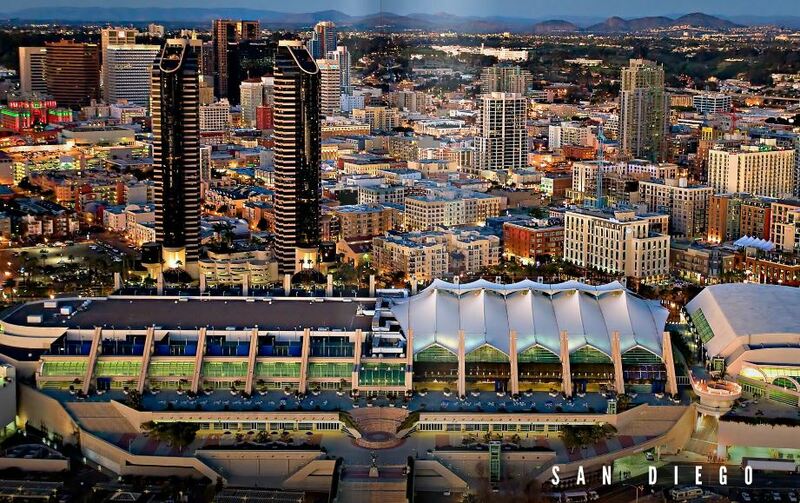 The conference will take place at the San Diego Convention Center on March 25-26, 2017. Please continue reading to learn more information regarding the venue, hotels, attractions and places to visit during your stay in San Diego! Once downtown, try the new environmentally-friendly electric shuttle service, which is free for everyone. 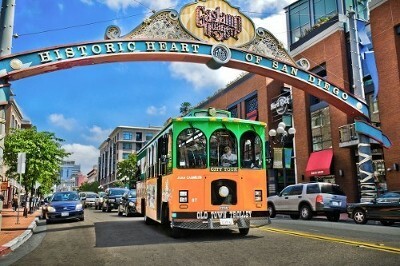 Just wave down one of the San Diego Free Ride electric vehicles or text (619) 821-0520! 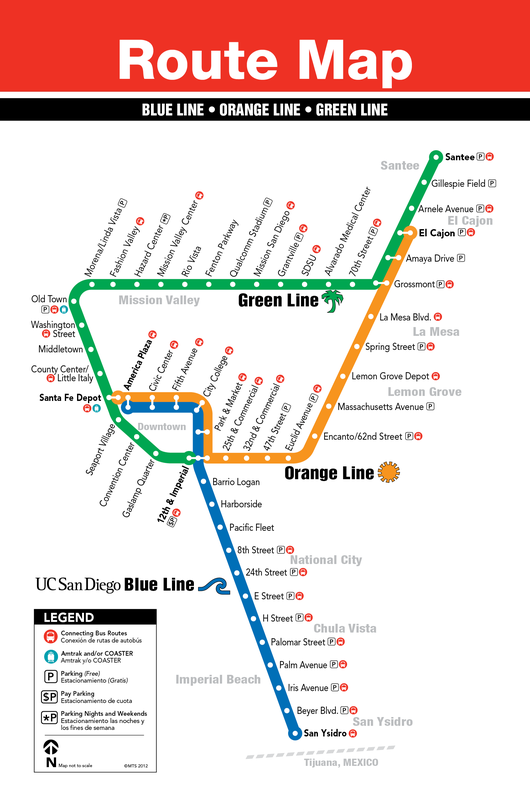 San Diego Free Ride runs seven days a week, 12- 9pm (PST). Our San Diego Harbor Cruise and Tour that we had set up for San Diego Conference participants on March 24th will no longer happen. On the 24th, the last tour of the day is at 3pm, so many participants cannot attend, as they will not be in San Diego yet. 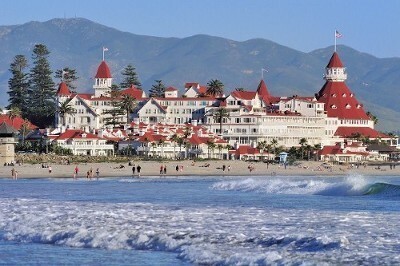 HOWEVER, on March 25th at 18:00, we will leave for a networking dinner on the beautiful Coronado Island. We will take a 15 minute ferry ride from the Convention Center to Coronado Island. You will be able to walk around many shops and restaurants, sightsee, and view the San Diego skyline across the bay. We will then come together for dinner near the harbor. Afterwards, we will ferry back to the San Diego Convention Center, where you may take a ten minute walk to Seaport Village. This is an iconic village in downtown San Diego that has many local shops and views. As this is downtown, it will be near most participants’ hotels to end the night. We believe that this event will offer our participants a greater networking opportunity, as we will have more participation. Each participant will pay their $50 fee, and this will include both of the ferry rides and the dinner. Email us to let us know you are interested. If you have signed up for the harbor cruise, your payment will be transferred over for this event. If not, please submit your payment here. You may add the ticket to your cart and proceed checkout.